Palacio de Rojas is everything you would think a Spanish Palacio would be – grand, elegant and majestic. 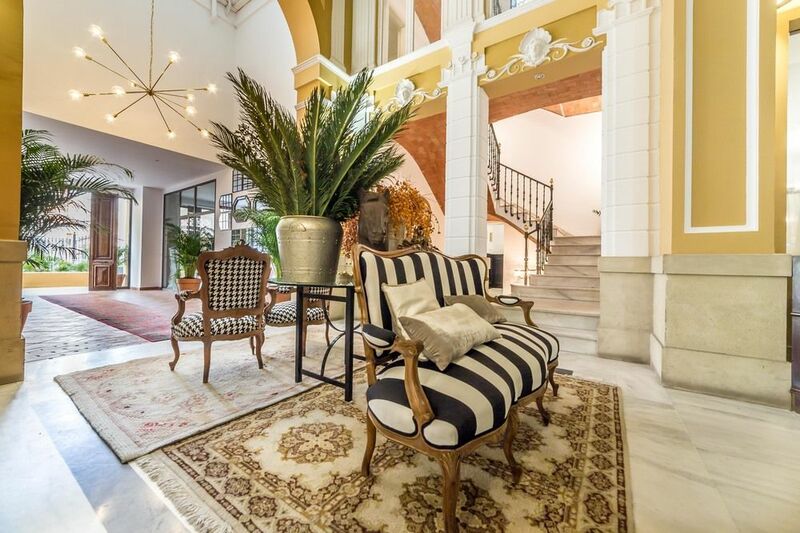 With its impressive entrance, Palacio de Rojas is a beautiful, feminine and stylish gem located right in the heart of Valencia. 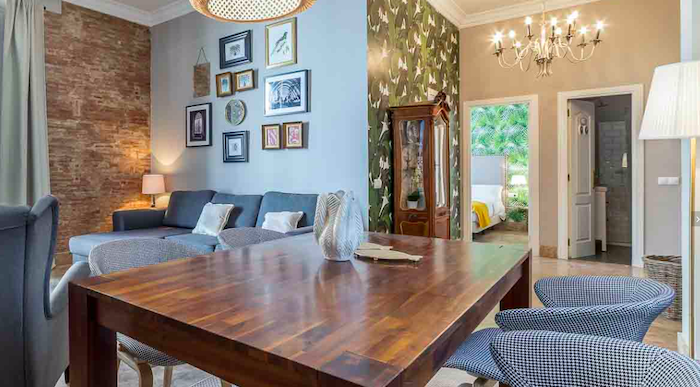 The chic boutique hotel boasts 24 serviced apartments, a restaurant and a bar area. All the 24 individual apartments are spacious and stylish and come in 1-bedroom to 3-bedroom configurations with one of the 2-bedrooms being an attic apartment. All apartments are beautifully decorated with classic design elements mixed with a modern and colourful feel. The 3-bedroom apartments are spacious with a large sitting area with a separate dining table, large sofa and a flatscreen TV. The fully equipped kitchen is perfect for guests staying more than a few days and is fully equipped including toaster, coffee machine, kitchenware, kettle and a stove and oven. 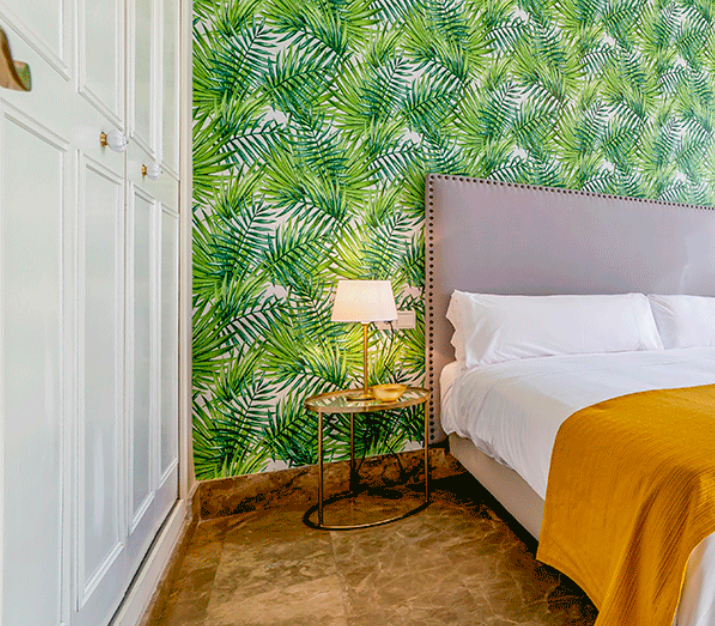 The beautiful master bedroom is decorated with colourful wallpaper and has an en-suite as well as a private terrace. The two separate bedrooms are slightly smaller but still spacious and share a bathroom. All bathrooms are equipped with L’occitan amenities, hairdryer and bathrobes. 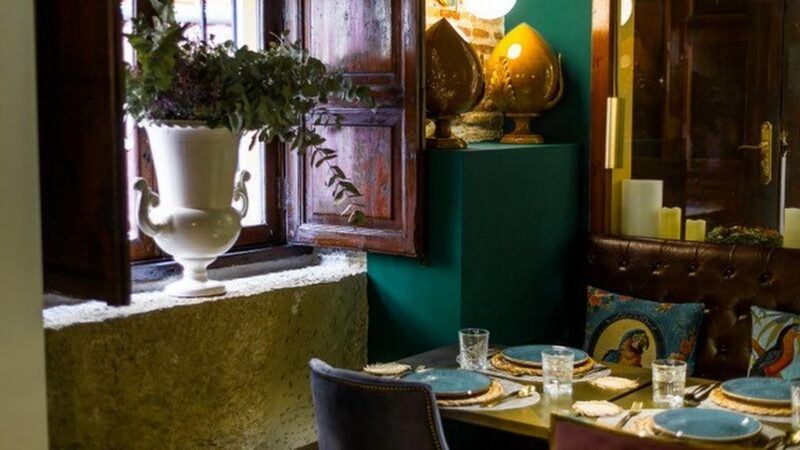 El Papagayo del Carmen is a charming and intimate restaurant which is accessible from the street. As the name suggests the interior decor features various birds which are displayed throughout the dining area in a tasteful and fun way. The dinner service includes a set menu where guests can choose from a starter, main meal and dessert. There is also an a la carte menu available. The tuna tartar is fantastic as well as the smoked octopus which is served with sweet potato. For the main dish, the fish of the day and the cow cheek with sauteed vegetables are both excellent options. The service is warm and friendly and the staff really goes way and beyond to make guests feel welcome. They are knowledgeable and attentive. The breakfast is served from 8am in El Papagayo del Carmen and is presented on the wooden tables on beautiful ceramics and Spanish crockery. Guests can select from a traditional continental breakfast with fresh bread, cold cuts, fruits and coffee and tea. There is also an option to order egg benedicts, omelettes and various side dishes such as salmon, avocado and tomatoes. The service is outstanding! From the check-in to the check-out. The staff take their time to advise on where to go and which places to visit in Valencia. There is a chilled cava waiting for guests in the apartment which adds to the entire experience. The coffee capsules are replaced daily and the toothbrushes provided upon request. This is a place where the staff makes you feel at home with their warm and friendly service. 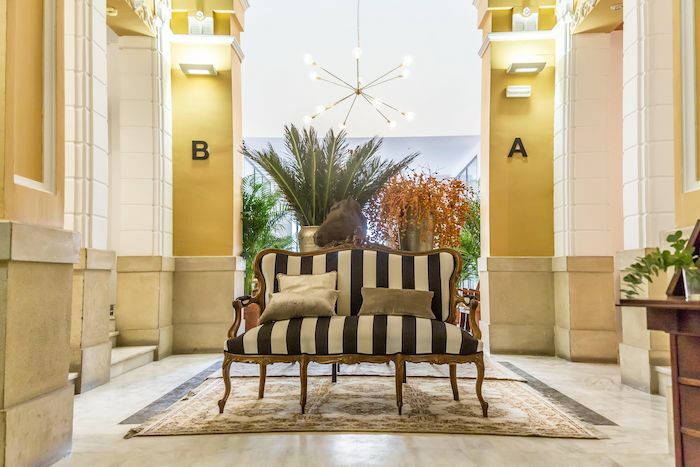 Palacio de Rojas is perfect for families travelling with children, business travellers who are in the city for a longer period of time or for couples looking for a romantic and stylish ‘home away from home’ for their weekend escape.